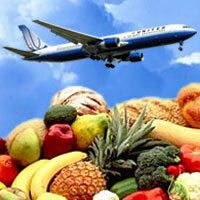 One solution that has proven to boost the health and fitness of the body is taking foods “closer to the farm”. Basically, this entails consuming foods that have not been subjected to any processing, so they are free from chemicals and additives. Unfortunately, millions of people take processed foods, and their diet is nothing to recommend to anyone looking become healthier. Juicing is recommended as a replacement for these processed foods, and for a good reason. Here are some of the benefits you get when you embrace juice detox. According to studies, lutein supplementation could help to improve visual functions. Many natural food sources including parsley, kale, lettuce, spinach, brussels, oranges, sprouts, and carrots contain lutein in good amounts. You can protect and also improve your eyesight by taking juice detox that is made with these ingredients. A juice detox like DetoPhyll is also made from such ingredients and could be taken as a solution to get better vision and cleanse the body. The food you eat also affects your mental state. 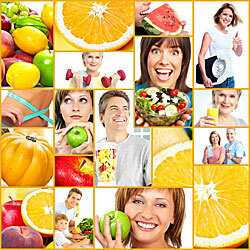 Deficiencies in your nutrition are often a cause of depression and some severe mental disorders. That is why it’s important to detect vitamin deficiencies early to ensure treatment before the brain is affected. Juicing offers a natural solution through which your body can get nutrients necessary to keep the brain healthy. Some of the fruits and vegetables recommended for brain health include blueberries, apples, celery, dark leafy greens, pomegranate, tomatoes, and apples. If you are battling belly fat, you could achieve tremendous results by considering homemade juice. Many juices are high in antioxidants, which help to attack and burn fat cells. 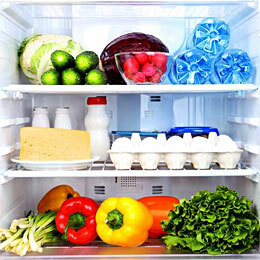 Not only would you lose weight; you would also gain more energy after consuming fewer calories. Juice detox could be used as a weight loss solution along with other forms of exercise that help accelerate your performance. It’s common these days to see people embrace juicing as a way to cleanse their bodies. By consuming juices, you can cleanse your systems, and vital organs like kidneys will get a break from the hard work of filtering chemicals contained in processed foods. While on a juice fast, it’s advisable to take juices from different vegetables and fruits. Consider adding more healthy fiber sources to make this more effective. Your skin also benefits from juicing. When you increase intake of fruits and vegetables, you directly impact your skin tone in a few weeks’ time. Some fruits and vegetables that you can take to get these results include lemons, carrots, tomatoes, pineapples, and cucumbers. You will get clear skin and feel younger by consuming these fruits and vegetables consistently. Your body deserves a boost once in a while, and the best way to do this is to try juice detox. With this, you need to look for fruits and vegetables that are suited to cleanse your body and give you a perfect state of health. These health benefits you stand to gain definitely make the juice detox worth a try.